– App Store customer reviews can be an integral part of the app experience, so you should treat customers with respect when responding to their comments. Keep your responses targeted to the user’s comments and do not include personal information, spam, or marketing in your response. – Use the provided API to prompt users to review your app; this functionality allows customers to provide an App Store rating and review without the inconvenience of leaving your app, and we will disallow custom review prompts. Users won’t have to leave the app to give a rating for it now. Oh, and developers can only prompt for reviews three times a year, with the prompt going away for a year after a user submits a rating. And, it will be possible to disable these review prompts entirely starting in iOS 11. Now, it’s worth noting noting that some of the incentive for developers to constantly prompt for reviews has been taken away. Apple is making it so that app ratings don’t reset upon each update, though developers can choose to erase their rating upon an update if, say, a previous update tanked their review score due to a bug or unpopular feature that’s now removed and doesn’t represent the current state of the app. 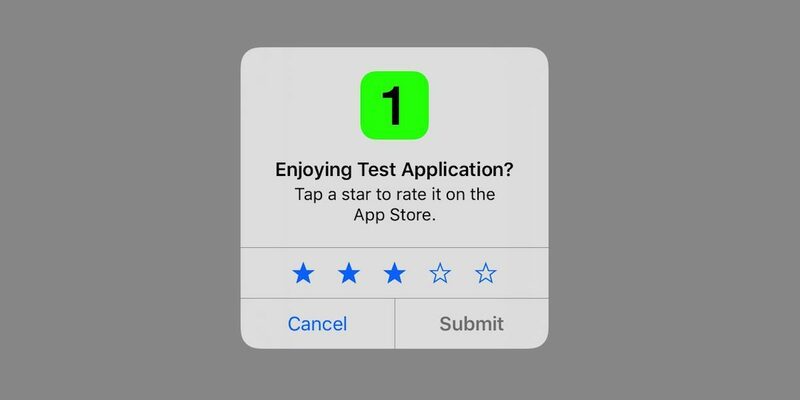 So where developers would need users to constantly re-rate apps over time, now they don’t have to because one rating can stick for a long time. It also serves as a check against nuking one’s review score, if a lot of users who previously reviewed can’t be prompted again for a year. Developers might be wary of this change because of how important user reviews are perceived to be, but prompts for reviews were becoming an intolerable nuisance, but at least Apple is providing a key benefit for developers with that feature.